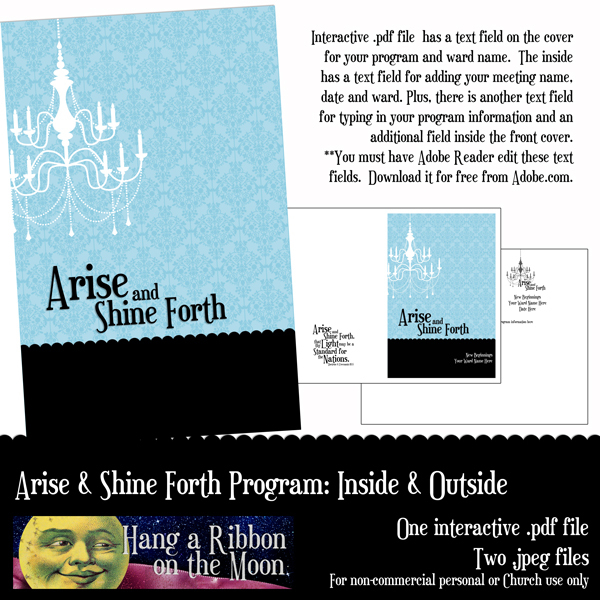 Arise and Shine Forth Program (Cover & Inside): Interactive .pdf for New Beginnings, Young Women in Excellence, etc. 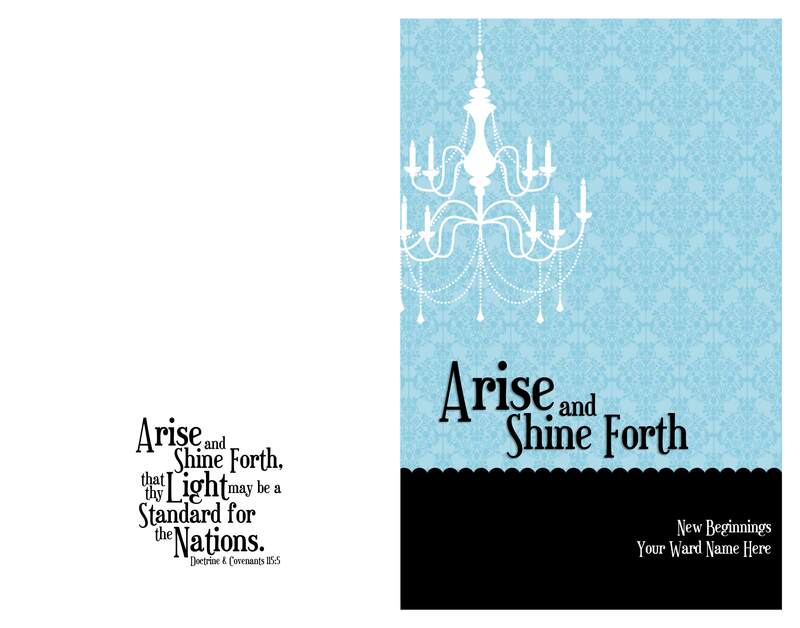 Here’s another reader request: an Arise and Shine Forth program cover and inside for you! I’ve created for you an interactive .pdf document which means you can add all your program information right in Adobe Reader! 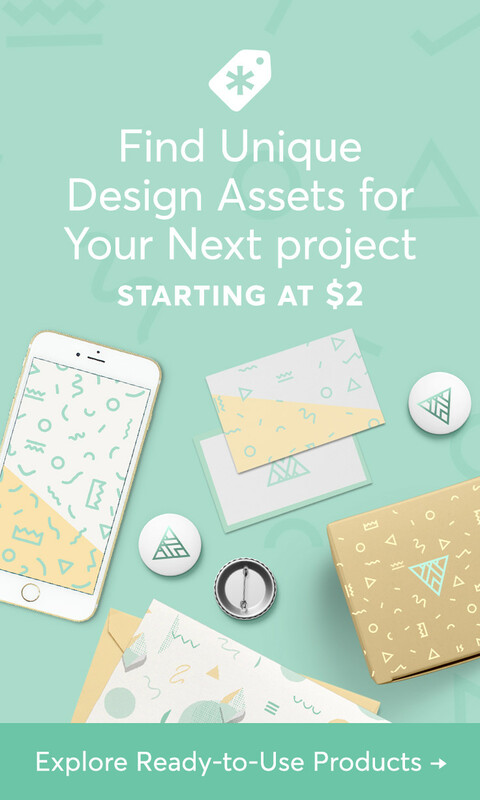 And, all of your text will be in Euphorigenic, the font I’ve used for my logo. Page one of the .pdf has a text field where you can enter the title of the meeting (New Beginnings, Young Women in Excellence, etc.) as well as your ward name. The back features the 2012 Mutual Theme scripture. 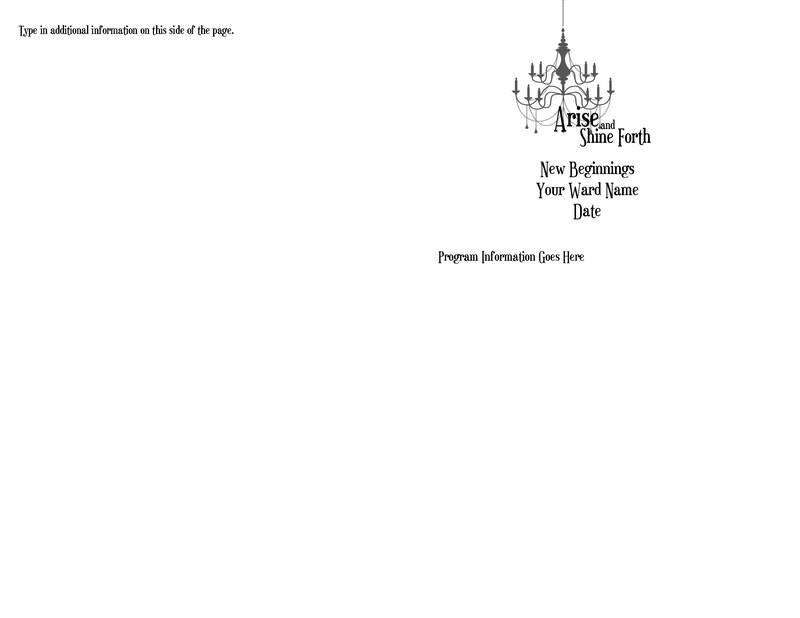 Page two of the .pdf (the inside of the program) has the chandelier logo as well as a text field where you can add the meeting title, your ward name and the date. The second field is ready for you to add your speakers, prayers and other program information. Finally, I’ve added a third field inside the front cover where you can add announcements, song words or anything else you want! Once you’ve added your meeting details, print out page one. Then, re-insert the paper in your printer and print out page two. After you fold the printed programs, they’re ready to go! So easy! If you don’t have the FREE Adobe Reader program, download it from Adobe.com. I’ve also included high-quality .jpeg files of the inside and outside, so you can totally customize the program to fit your needs. I have some great new projects coming soon, so be sure to “like” Hang a Ribbon on the Moon on Facebook or become a follower of this blog. Download my 2012 Arise and Shine Forth program .zip file here. You will need to unzip it after downloading in order to use the files. Remember, all of my files are for non-commercial, personal or Church use only! DO NOT SHARE my files! Send your friends here to download their own copies! Thanks so much for visiting Hang a Ribbon on the Moon. You simply rock. Thank you so much for all the time and effort you have put into making such a perfect logo for 2012. We just love it, and you are saving us so much time! A million “Thank you’s”!! Sorry I am not very good with the computer. I can get the program cover to open in interactive .pdf. However I still am not able to open the invitation. Everything is showing on my computer after I click to open it I am not able to. Any help that you can give me would be greatly appreciated….. 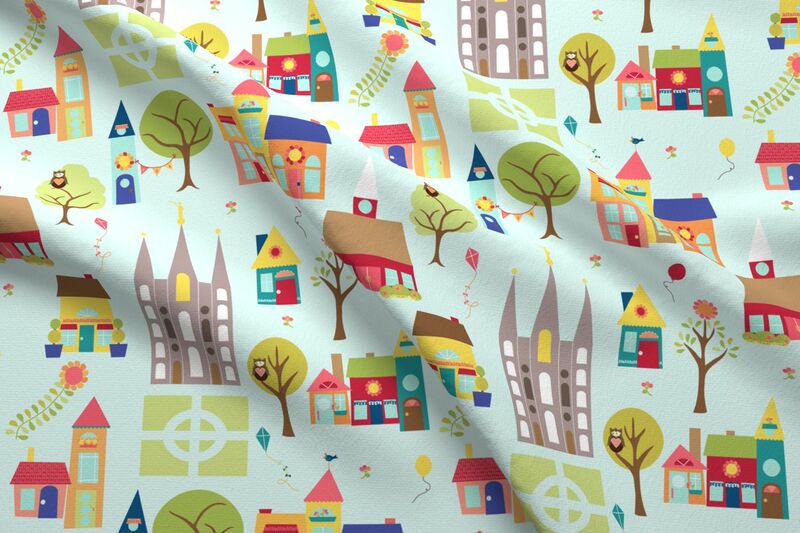 Thanks so very much for purchasing the fabric! I’m so glad you can use it! I love this graphic for our upcoming Young Women in Excellence but when I download the files I still can’t seem to edit them on my computer. What am I doing wrong?! These are beautiful. We are using the invites and the program covers for our YWIE in a few weeks. We printed the “yellow” invites and just now when I went to print the program I noticed it was in blue. Would it be possible for you to post a “yellow” option as well. Thanks for the beautiful ideas and “ready-to-go” printables that have made my life a bit easier.